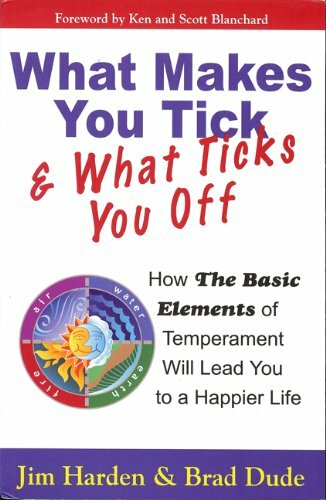 understanding of why we do the things we do and learning why we are often angered by the actions of others is the focus of this book. This reader-friendly book sheds new light on addressing the conflicts we face daily with our boss, our children, and our spouses. It teaches us about our troublesome shadow temperament and how we can learn to appreciate the temperaments of others to reduce the conflict in our own lives. Colorful characters named Dom and Shad will help readers learn whether their dominant preference or shadow preference is Earth, Air, Fire or Water—one of the basic elements.